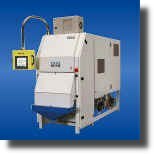 Details of Satake Corporation's continual development of new equipment, processes and other company news can be found below. 7 - 10 May, at the Sydney Showgrounds, Olympic Park. 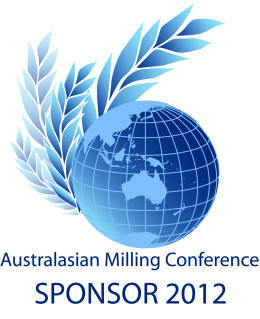 Satake are once again proud to support the Australian Milling Industry with sponsorship of the AMC 2012 Conference. This year's event is combined with the regions leading poultry expo 'PIX 2012'. Satake's team will be on hand at our exhibition stand and throughout the event. We will also be joined by representatives of CPM Roskamp Champion and PETKUS Technologie. Victam Asia 2012 - Asia Pacific's premier event for the animal & aquatic feed, pet food and biomass technology. FIAAP Asia 2012 - The only specialist trade show to offer complete coverage of the Asian/Pacific market for ingredients and additives used in the production of animal feeds, pet food and aqua feed. GRAPAS Asia 2012 - South East Asia's premier event for the flour milling, noodle production and grain & rice processing industries. Satake Australia exhibited at FarmFest, Queensland's premier primary industries field days. 7 - 9th June 2011 at Kingsthorpe Park, on the Warrego Highway, 20 kms west of Toowoomba. Satake Australia are pleased to announce the appointment of Cosway Project Services as our representatives in Tasmania. 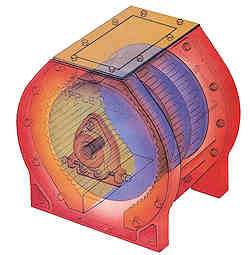 Cosway Project Services was incorporated in 2001 as a Design, Engineering and Project Management Company and has gained a reputation for competence and reliability. This reputation has come about through maintaining their key objectives in understanding the unique processing requirements of each of their customers and customising the process to suit. Cosway Project Services are Consulting Engineers providing Detailed Design, Engineering and AutoCAD Drawings, Project Management and Mechanical Installation. Australian Macadamia Society’s 2010 Annual Conference. Satake Australia participated at the Annual Macadamia Conference, this year held at Sea World Resort, Gold Coast. We appreciated the time taken by our customers to see the demonstration of our NS-800 Colour Sorter. Satake Australia is pleased to announce that they have been appointed the sales representative for CPM, Roskamp Champion, Wolverine Proctor, and Beta Raven products in Australia and New Zealand. The agreement brings together CPM’s industry leading products with Satake Australia’s local engineering, design and installation capabilities. Satake is known for building some of the largest and most advanced feed milling plants in the region as well as serving the flour, nut processing and other milling industries. Satake Australia has the capability to refurbish grinding and crushing rolls at their Sydney site and will be using this facility to build on the services being offered to CPM clients. Since 1997 Satake Corporation UK Division has been operating as a division of the Satake Corporation, Japan. 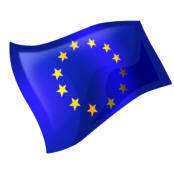 The Satake Corporation Directors have decided with effect of 1st March 2010 to change the trading name of the UK Division to that of Satake Europe Ltd in order to bring the UK based operations into line with all the other Limited companies within the Corporation. As a result, from the 1st March the Satake Corporation will no longer trade through the title Satake Corporation UK Division. There will be no changes to the company contact details, personnel or range of services as a result of this company change of name. 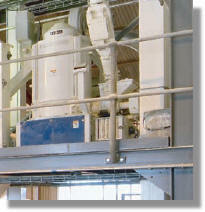 Satake Australia will exhibit, sponsor and deliver a paper at the 2010 Australasian Milling Conference. The Biennial Conference is organised by the Flour Millers' Council of Australia, StockFeed Manufacturers' Council of Australia and The Australian Technical Millers' Association. Taking place Tuesday April 13th - Thursday April 15th 2010 at the Etihad Stadium (formerly Telstra Dome), Melbourne, Victoria. 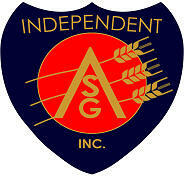 Satake Australia participated in the Independent Associated Seed Graders Conference. Satake will sponsored the Thursday evening dinner and provided a presentation on the Friday morning. Engineered for flexibility, the Modular Maize Mill consists of four compact, adaptable, and cost-efficient modules. The new Satake NCG1A Flour Colour Grader is a high resolution visible-band spectrophotometer. E-mail addresses for your personal contacts will remain unchanged and in the next few weeks we’ll also be providing direct dial numbers. All correspondence, deliveries and collections should be directed to our new address. Satake Australia acquires the manufacturing and product support rights to the 'Ripple Mill' previously manufactured by Pellet Technology Australia Ltd. 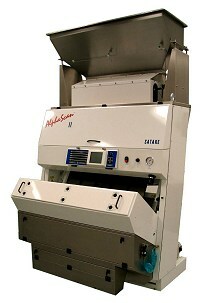 The next generation of Satake's highly successful AlphaScan Optical Sorter was launched at the beginning of 2008. The versatility of the AlphaScan II is fast becoming the machine of choice for mobile seed cleaning units, mills, grain stores and farms. 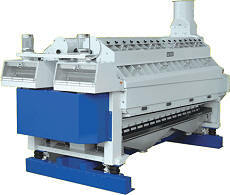 Satake Corporation has developed the “Full Colour Belt Sorter For Wet Products”, which sorts and removes defective wet beans and grains, after the immersion and washing process; the machine has been cleared for sale as of December 1, 2007. The SBFB IncliTec Bran Finisher is the first in a new series of machines designed to bring the benefits of the latest SATAKE IncliTec technology to the milling industry. 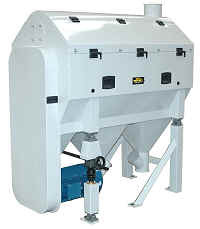 The SBFB effectively cleans the bran, recovering flour which would otherwise be lost, thereby increasing extraction rate. 23rd World’s Poultry Congress which will be held in Queensland, Australia from 30 June - 4 July 2008. This important event brings together companies and delegates from all over the world and provides an ideal opportunity to network with colleagues and industry associates. 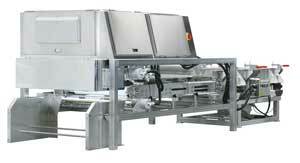 Revolutionary sorting technology using full colour RGB cameras and real image data. 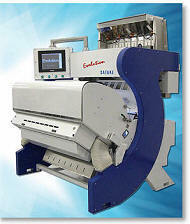 The next generation of 'high capacity - low cost' colour sorting from Satake. FWP Matthews Ltd, a family owned mill located in the heart of England’s rolling Cotswold Hills, guarantee their customers super clean organic flours thanks to the installation of a Satake-ESM AlphaScan Colour Sorter.